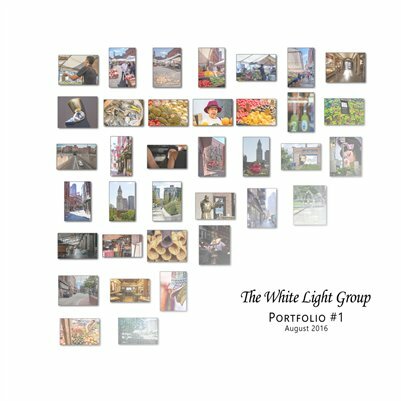 On Friday August 11th 2016, a group of photographers from"The White Light Group" went for a photo-shoot in Boston's North End. Sometimes the photographers' path would cross but most of the time we walked and worked alone. An interesting aspect of these photographs is to see common subject matter through the lens of different photographers. This book is the result of our separate but joined photo-shoot. It captures "the Market" , "the People" and "the Neighborhood" of Boston's North End as seen by six White Light photographers: Bob Moss; Nicole Bernstein; Ron Parkinson; Skip Schiel; Seymour Friedland; Bob DiNatale. It is our hope that the viewer will enjoy it as much as we enjoyed creating the images.